BINTANGNEWS.com – Iranian Deputy Oil Minister Amir Hossein Zamaninia said Iraq must pay in euros for gas imported from Iran, refusing to use Iraqi dinars for payments. 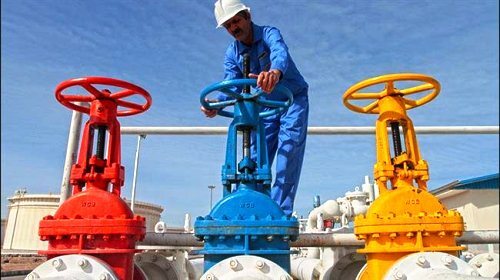 "Iran's National Gas Company does not agree that payments for gas exports to Iraq must be made in dinars because they have to be done in euros, according to the contract," the ISNA news agency quoted him as saying. His statement came after Iran's Ambassador to Baghdad, Iraj Masjedi, told the Fars news agency that Tehran and Baghdad were considering using Iraqi dinars in their transactions, not the US dollar. Iraq is very dependent on Iran's natural gas imports for electricity generation. Basra in southern Iraq was hit by violent protests that spread to other cities this summer, partly because of the cessation of Iranian electricity exports. Iran's gas supply to Baghdad began in June at a rate of 7 million cubic meters per day. This will increase to 35 million cubic meters every day, according to the terms of their agreement. A separate pipeline will take Iranian gas to the southern Iraqi city of Basra. The head of the Iraqi Chamber of Commerce Jafar Rasul Hamdani said this month that Iranian gas and electricity exports to Iraq rose 40 percent in the first six months of this year from the same period last year.